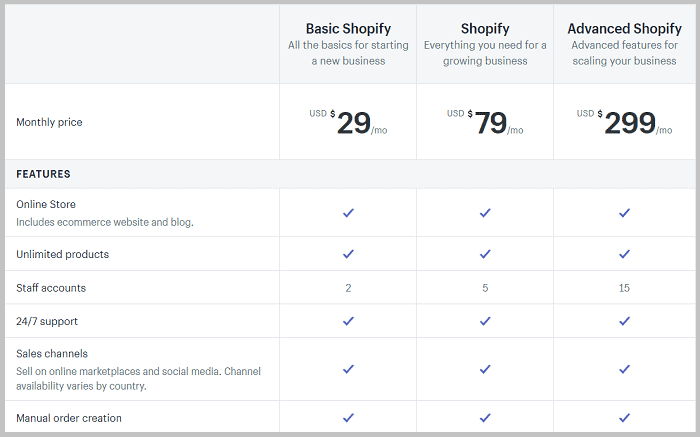 BigCommerce vs Shopify: Which eCommerce Platform is Right for You? This is my personal review of Bigcommerce and Shopify. I didn’t evaluate the two eCommerce platform for 30 minutes and call it a day. The need for good e-commerce support is important from the moment you have your website go live. This is an inevitability when you want to take care of your clients and never let anyone go unattended. If you are solely maintaining your website or have a small group even, you would still require some e-commerce support. They take care of all the technicalities involved and make sure that your website is up-to-date and original. They also ensure that relevant content is posted every now and then to keep your audience engaged. Potential e-commerce support would help your website’s conversion rate as also optimizing it. Two names which are quite known when it comes to e-commerce support are BigCommerce and Shopify. Both are cut-throat competitors when it comes to providing an outstanding e-commerce software solution for your business. Both have been around for some time now and both of them have a fair share of supporters as well as criticizers. We cannot say that they are absolutely flawless and need no improvement whatsoever. But, if you are starting your own business and are torn between which one to choose, we are making it easier for you. Before we dig in deep, let’s look at the difference between BigCommerce vs Shopify and how they work. BigCommerce powers some of the world’s most successful online stores. From mom-and-pop to Enterprise businesses, companies in over 150+ countries grow their business on BigCommerce. With best-in-class SEO to help drive more free traffic, built-in selling on Facebook, Instagram and Pinterest to help you sell on social media, and integration with Amazon and eBay to help you reach more consumers, BigCommerce is the fastest growing eCommerce software on the market. Additionally, with tools like abandoned cart saver, streamlined checkout, coupons and discounting, and faceted search, you’re able to convert more visitors into customers. Combine all that with their plentiful and highly customizable themes, and Bigcommerce is the right platform for just about anyone looking to sell online. Bigcommerce customizes your site, manage shipping and payments, and list your products on Amazon, eBay, and Facebook. Below is a breakdown on how it works. According to Richard Kelsey, Owner, beercartel.com.au, they were very thorough in their search for an ecommerce platform that would suit their long-term needs. In the end, BigCommerce won them over with its built-in functionality and strong support team. 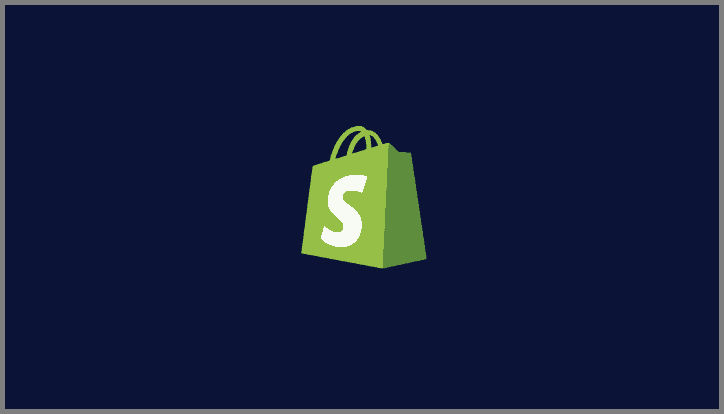 Shopify is a complete commerce platform that lets you start, grow, and manage a business. Create and customize an online store. Sell in multiple places, including web, mobile, social media, online marketplaces, brick-and-mortar locations, and pop-up shops. Manage products, inventory, payments, and shipping. Secondly, put your brand into action—develop customer loyalty and promote your business on social. Thirdly, build your store by bringing your idea to life with the tools you need to start selling. As an example see how this Baby Brand grew their business into 196 countries, 4 stores, 2 warehouses with the help of Shopify. Now that you have seen how they work, let’s look at more features they have. When you are just started out and are looking for a reliable platform to fulfill all your needs, you would first prefer something which is easy-to-use. A platform with a simple front-end and back-end user interface would be something which you would be looking for. And that is precisely the most important thing that an e-commerce software solution should be aiming for. BigCommerce, being a new player in the field is a little unique when compared with big names such as Magento and WordPress. However, its interface is designed in such a way that it is quite user-friendly. If you have been using platforms like WordPress and Magento and are looking to make a switch, but on the same line, then it might take you some time to get used to the interface of BigCommerce. But, they have aplenty YouTube tutorials to help you out. So, it is not much of a hassle. Further, if you do not want to make a substantial shift from the way WordPress functions, then Shopify is what you might prefer more. It is very much familiar with the interface of WordPress and would allow you to accomplish most of the common tasks quite smoothly. However, one thing which bugs users is how frequently Shopify updates it UI. This makes any online tutorials useless and might even leave you a little clueless at times. There are also complications with creating sub-menus. Apart from that, Shopify is visually pleasing and ensures better usability. Standard ($29.95/month), Plus ($79.95/month), Pro ($249.95/month) and Enterprise plans with pricing based on a customer’s online sales. Note: Before you pick a plan, I’d HIGHLY recommend you try their fully functional 15-day free trial, during which you can test drive BigCommerce and build your site. You don’t need a credit card to sign up; there’s no obligation and no risk. Since they’re being trusted by over 800,000 businesses worldwide, they also have a free trial of 14 days, no risk, and no credit card required. As if building your very own e-commerce site wasn’t expensive enough, it also takes up a lot of your time. When you are starting off with your site, make sure you have your theme in place. A theme might make your site successful or break it for good. So, you must pay extra caution when you are establishing your site theme. Factors like built-in SEO; full responsiveness; freedom and flexibility of design are what you should keep an eye out for. Both BigCommerce and Shopify offer you a vast range of themes to choose from. Shopify has a collection of both free and premium themes from where you can pick your choice. All is well with these two platforms when it comes to themes. They are equally good in offering you a wide range of themes to choose from. However, you must keep in mind the most important requirements when it comes to choosing the right theme for your e-commerce website. You cannot compromise on even one of these basic requirements if you really want your site to flourish and make the most of your services. To have a successful e-commerce website, what you would need, apart from the factors already mentioned, are built-in marketing tools. Additionally, you should also be looking for cross-platform compatibility; easy integration with plugins; capability to include blogs alongside your e-commerce products; ability to customize product display as well as their functionalities; and easy checkout integrations. All of these are equally important and should be on priority while picking your theme. Before investing in either of these platforms, you first have to take a good look at the features that they have to offer. This is because you would not want to be shooting in the dark once you have taken the leap of faith with them. BigCommerce provides you with a range of features which are designed to improve the functionality and also how your website looks. We understand how much importance being mobile-friendly is in today’s date when everybody’s constantly on the move. It also offers various SEO tools which help in optimizing your e-commerce site to a substantial extent. Such a design would help you get on the top of search results in leading search engines such as Google and Bing. 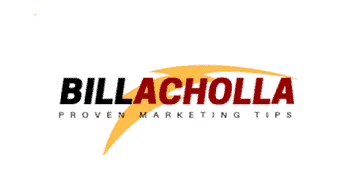 What also improves your SEO is including captivating graphics. Such can be achieved with the help of infographic outreach that enables you to create engaging, SEO-friendly infographics. It also offers a wide range of shipping options. Shopify, on the other hand, provides its users with 100+ professional themes. We have already focused on the importance of a great theme. Shopify enables you to achieve a cleaner and user-friendly theme. This increases the usability of your e-commerce site exponentially. Apart from that, it also offers you with mobile commerce, as BigCommerce provides. Shopify also offers you a wide range of shipping options as also their very own shipping services. They enable you to view calculated shipping rates in advance. This creates a great and smooth user-interface when it comes to shipping services. Besides, Shopify enables you to brand and customize your own online store. You can also expect to edit HTML and CSS as also have a full blogging platform. Every successful e-commerce website includes add-ons, plugins, and extras which are offered by an application store. The quality of these stores impacts the performance of your site to a large extent. Both BigCommerce and Shopify offers you application stores which includes a wide range of apps and plugins. These services enable a smooth e-commerce experience between business and customers. Shopify has an additional option of opting for Shopify Lite. This service would offer you the opportunity to sell on social media platforms or on an existing website without having the need to pay the full subscription fee. This indeed makes for quite an incredibly smooth user-interface. When it comes to e-commerce websites, one thing to make sure you have in place is the payment gateway. If you do not have a user-friendly payment gateway, chances are really high of losing your customers. Since an e-commerce website is a platform to sell your products, it is imperative that you have your payment gateway in place. You would not want your customers to go through a complex or a lengthy payment process. Nobody wants to spend that much time while spending money. This is because if you are taking time off their life while they are paying for something, that period of time might as well flip their mind to not buy the product for some reason or the other. When we compare BigCommerce and Shopify’s payment options side by side, we notice that the former offers more first-class payment options as opposed to the latter. Additionally, BigCommerce also does not charge a credit or debit card payment fee. This is all the more reason why customers would want to buy products from an e-commerce website associated with BigCommerce. However, one bonus thing that Shopify does offer is their native payment option, Stripe. They do not charge transaction fees at all on this one. Both of these platforms have aplenty third-party payment options. So, it really depends on your judgment on which one you would want for your e-commerce site. Both of them have a separate range of services to offer which would be beneficial for you. This one is a rather competitive functionality. This is because more and more e-commerce websites are offering extremely seamless and easy checkout options. Today, customers are becoming all the pickier and when it comes to checking out options, they would not think twice to avoid a platform altogether which takes anything more than 100 seconds for them check out. Both BigCommerce and Shopify allows their users to complete the check out in less than 30 seconds. Both of them allow credit card payments as PayPal. We have taken a good look at how BigCommerce and Shopify can help with your e-commerce needs. If want to grow your sales with actionable report at scale, I HIGHLY recommend giving Bigcommerce a try. In fact, it’s one of my favorite ecommerce platform. But if you want to start a dropshipping business, start with Shopify. So that’s it for my Bigcommerce vs Shopify review. What’s your thought about Bigcommerce vs Shopify? Or maybe you have a question about something in my review. Editor’s note: This post was authored by Harold Camaya who is a marketing enthusiast and an influencer in different verticals. She keeps special interest in the impact of visual branding on business growth. She has been writing for a long time now and has an interest in traveling as well.